PAN, the latest big splashy version of the Peter Pan story bombed but don’t blame J.M. Barrie! His Peter Pan will live forever. As may today’s Saturday Matinee: Finding Neverland. 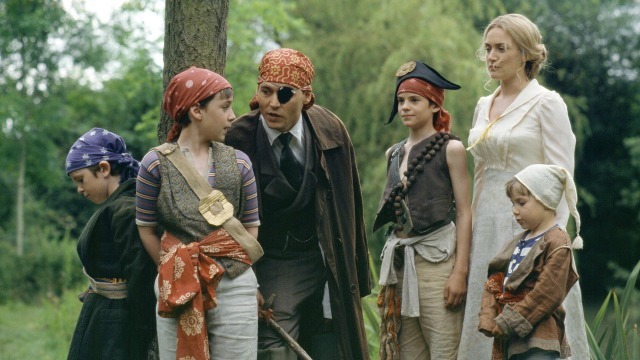 Starring Johnny Depp as Peter Pan author J.M. Barrie — a character at the opposite end of the spectrum of his currently-in-theaters Whitey Bulgar role— Roger Ebert called the movie ‘surprisingly moving’ and gave the film three and a half stars out of four. 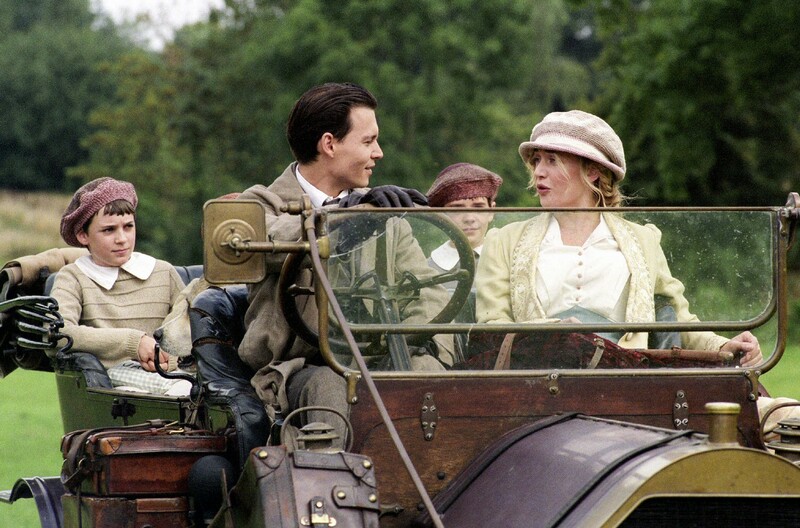 I’m hoping to get out to see Depp in Black Mass this weekend and find a way to squeeze in Finding Neverland too. Good luck with that! the things I have to do snicker at me. In addition to Depp, we have a venerable cast including Dustin Hoffman and Julie Christie. We also have Barries’ muse(s): Kate Winslet as the mother of four boys, one of them a young Freddie Highmore in a heartbreaking performance as Peter. Barrie becomes besotted with the entire family, ignoring his own wife as he finds a way to stay in childhood forever. Barrie is the original Puer aeternus, in pop psychology terms, a socially immature man suffering from ‘the Peter Pan syndrome’. Like the ToysRus kids, the Puer aeternus won’t grow up. 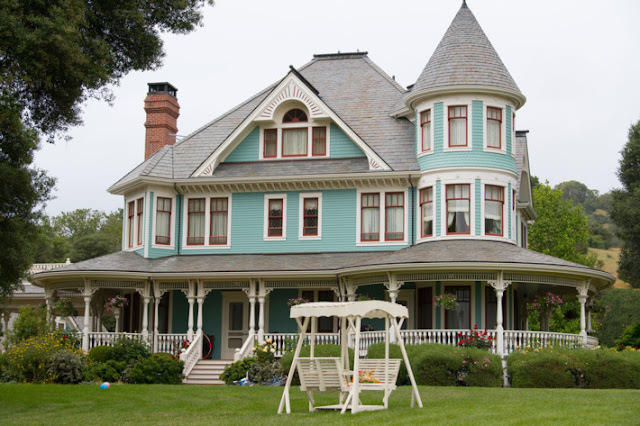 Like Peter Pan and the lost boys, they prefer to stay young, unfettered, to live forever. Try as we might, we can’t live forever, but through the power of his imagination and his own yearning to return to the magical place of childhood, J.M. Barrie found a story that will. 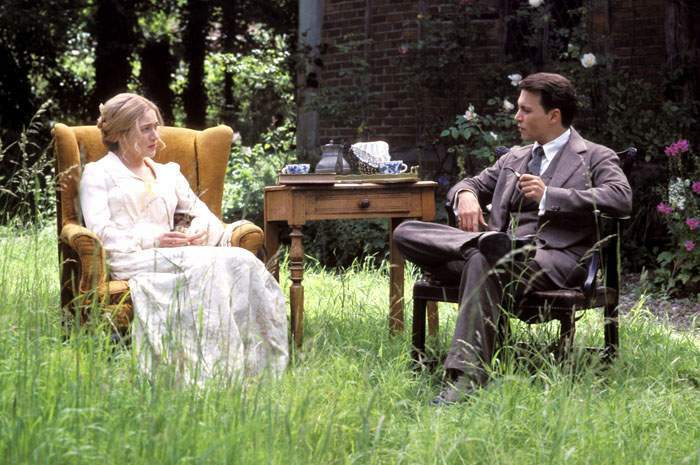 Finding Neverland received 7 Oscar nominations including Best Picture and a Best Actor nom for Johnny. Depp had been nominated the year before for his work on Pirates of the Caribbean. That was before he went completely over the top and we were still a little in love with his mad, staggering Captain Jack Sparrow. 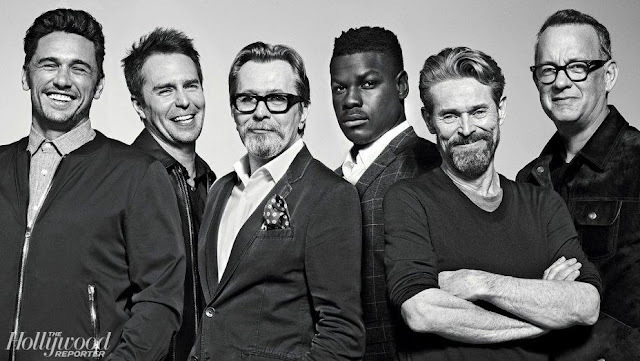 Depp lost out to Sean Penn in Mystic River that year, and the following year, in 2005, Jamie Foxx took the trophy home for the Ray Charles biopic. The Best Picture went to Million Dollar Baby. 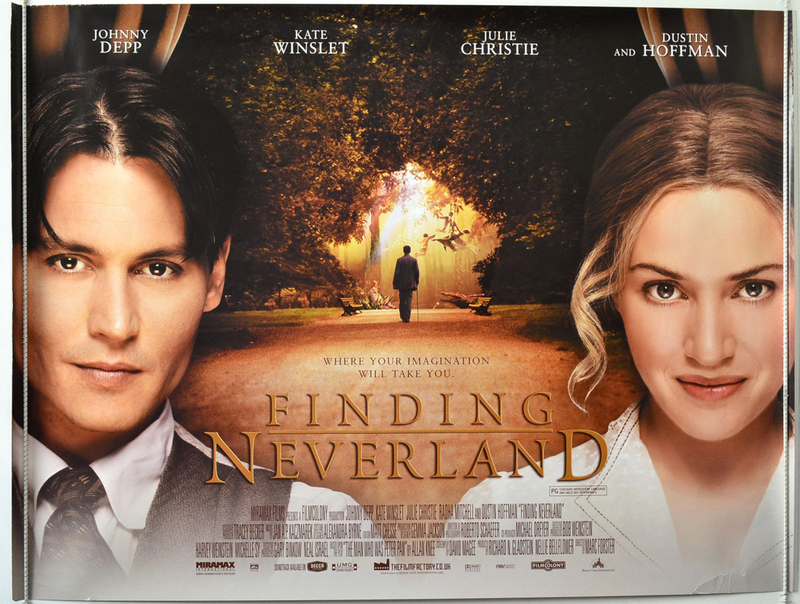 Finding Neverland did win for its gorgeous musical score. The costumes by Alexandra Byrne are sumptuous and spot on and duly nominated but Sandy Powell, the costume designer for Cate Blanchett in Cinderella and this year’s Carol, won that year for her work in The Aviator. As gifted a designer as Byrne is, the 3 time Oscar-winning Powell is hard to beat. Are you crying too? Finding Neverland is available to stream this Saturday afternoon on Netflix, Amazon, Google-Play and Vudu. I completely forgot to mention his outstanding Scots accent! Well done Johnny. I saw this and really liked it. I enjoy Depp when he isn't doing those weird characters. I do too! The new Alice through the Looking Glass looks like he’s up to his crazy tricks but I thought he was excellent in Black Mass. Really powerful.